Do you like chocolate truffles but think you can only afford them on special occasions? If you said yes, then I'm about to make your day. These are delicious and really easy to make. Heat the heavy cream in a saucepan until very hot, but not boiling. 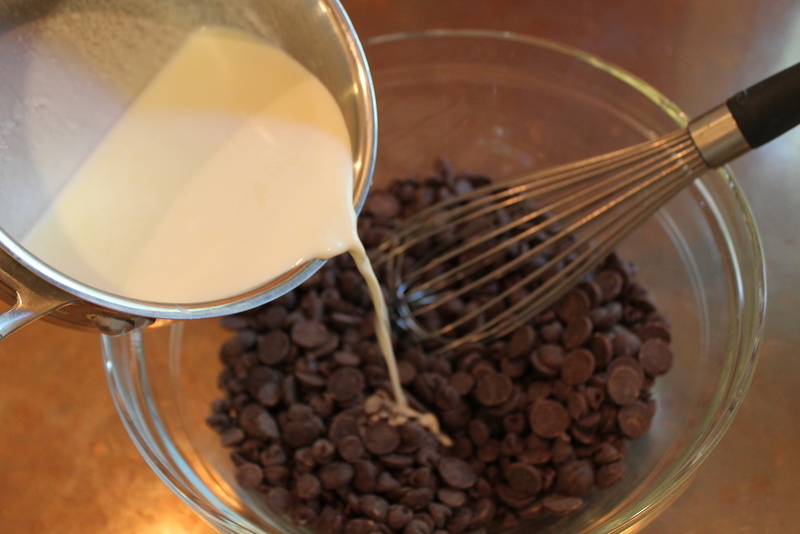 Add the 2 bags of chocolate chips to a bowl and pour the hot cream over them and stir to melt. 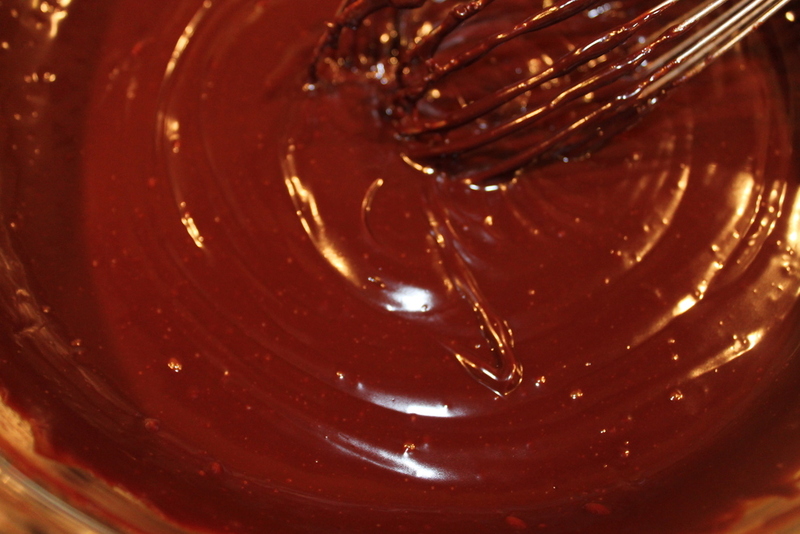 The chocolate needs to be completely melted and very smooth. If the cream isn't hot enough to melt them completely, put the mixture in the microwave for 30 seconds and stir. You can do this a few times if you need to, just make sure the mixture ends up completely smooth. Now add the coffee and liquor and mix. Set aside for at least an hour to let it set up. it won't completely harden, just get a little more firm. After it has set up, scoop out about a teaspoon at a time, roll into a ball and drop onto a parchment covered sheet pan. I used a small cookie scoop for this part. Put the sheet pan into the refrigerator so that the truffles will set up completely. This shouldn't take more than an hour. When they are firm, take them out of the refrigerator and roll in cocoa powder or powdered sugar. If you want the truffles to be super chocolatey, use cocoa powder. If you want them to be a little sweeter, use powdered sugar. DONE!! These will keep for several weeks in the refrigerator if they last that long. They taste best served at room temperature. Posted in In The Kitchen. November 26, 2012 by Lynn Adams.